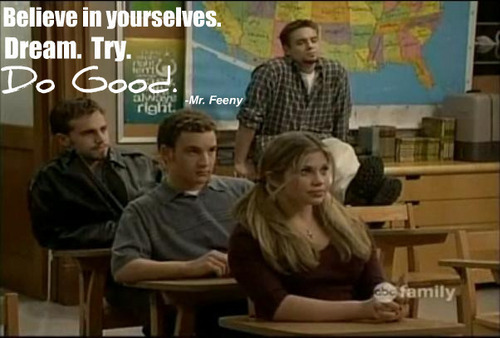 Fab 4 of Boy Meets World. . Wallpaper and background images in the Will Friedle club tagged: will friedle eric matthews ben savage rider strong. This Will Friedle photo contains brasserie, restaurant, eating house, eating place, and eatery. There might also be boardroom, council chamber, bistro, and reading room.